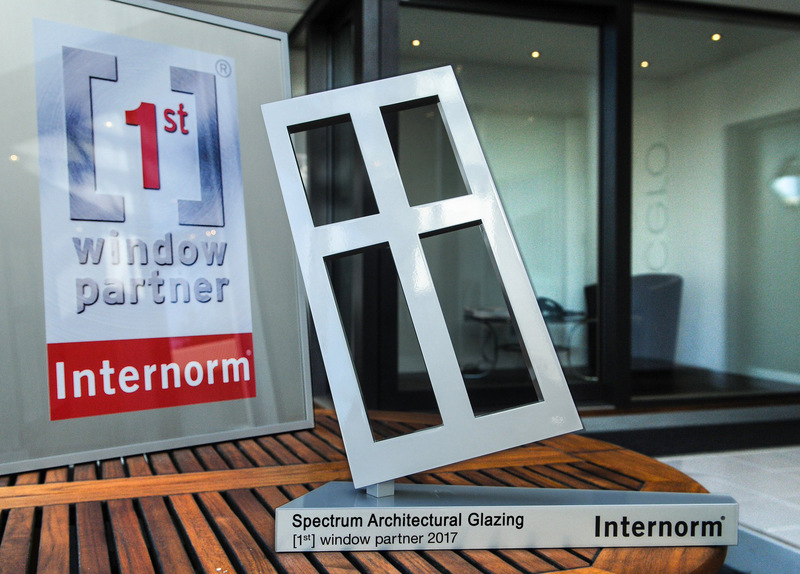 In 2017 we were awarded the highest level Internorm can award to a partner: 1st Window Partner, Gold Level. 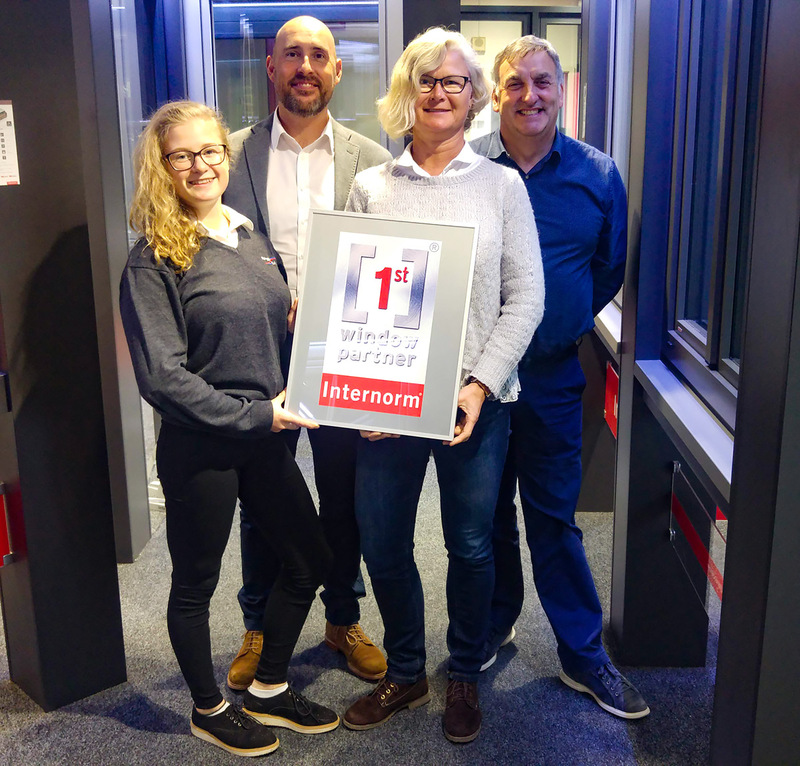 There are many Internorm dealers and distributors across Europe but the status of 1st Window Partner is reserved for the best partners in each country. 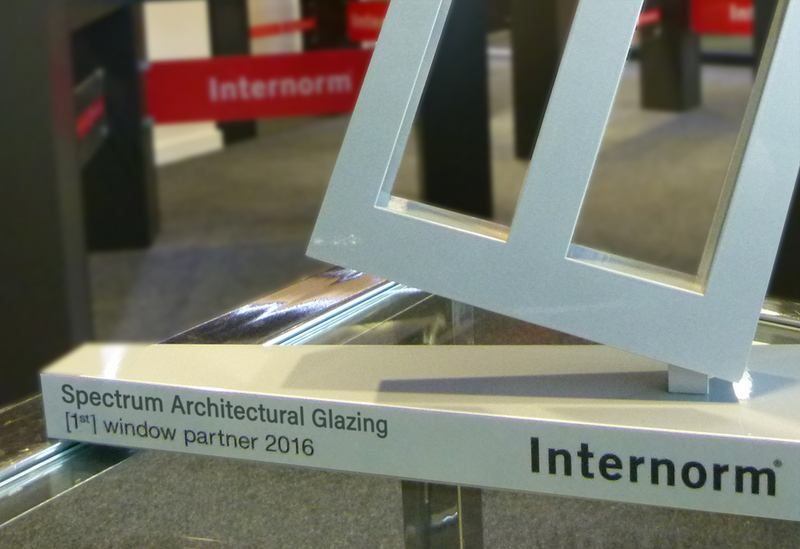 We are also and Internorm GOLD Partner. This is the highest level of Internorm dealer and one of only a handful in the UK, so you know you really are are dealing with the best. We must providing a level of service above and beyond a normal dealership — something we have always prided ourselves on anyway. 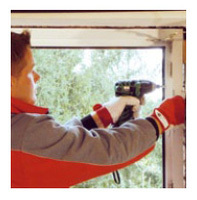 We have to ensure all our staff have exceptionally good product knowledge and training to ensure that you receive the right advice when making your decisions. 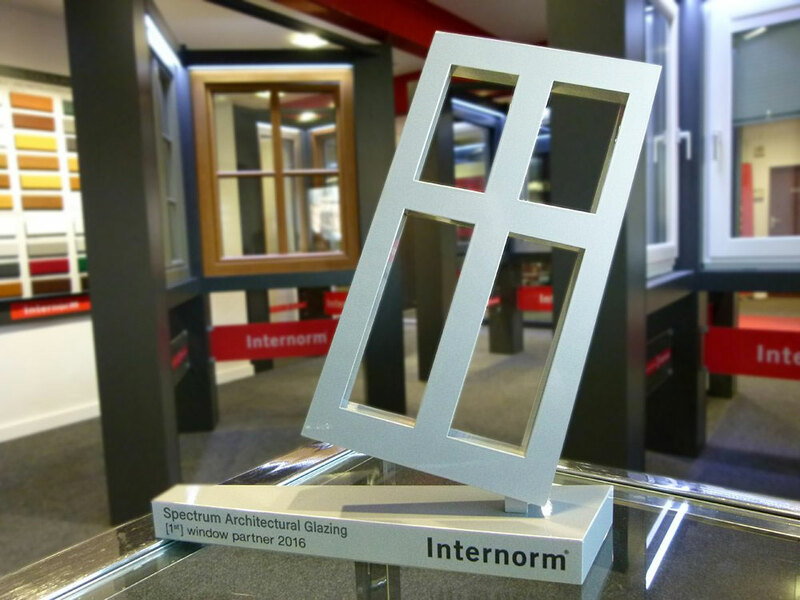 Our showroom has to be to a required standard, with a full Internorm range including the latest products, and provide a pleasant and welcoming atmosphere, with out-of-hours appointments available. 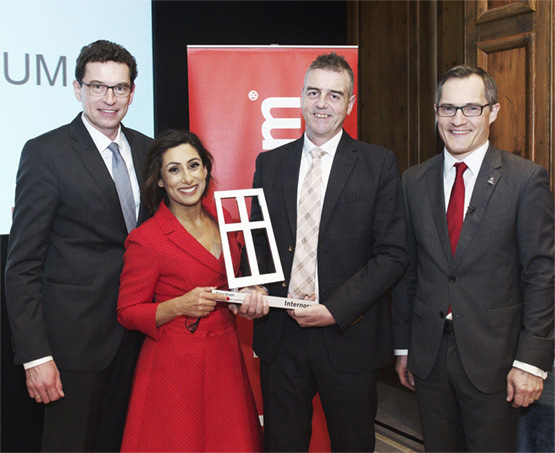 Feb 2018: Nick Maybury receives our 1st Window Partner 2017 award from Saira Khan from ITV's Loose Women. 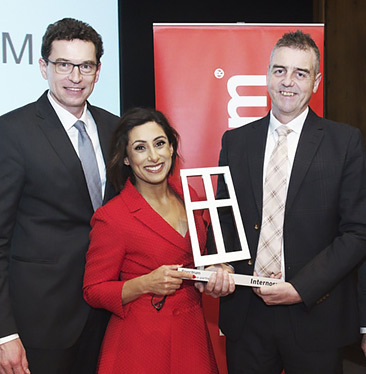 On the left is Stefan Kubinger, director and co-owner of Internorm; on the right is Andreas Simmer, Managing Director of Internorm UK.